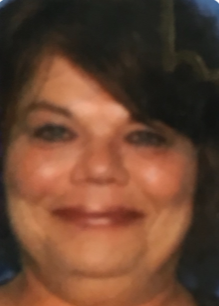 Sandra Dee Crace, 55, passed away August 2, 2018 at Southern Ohio Medical Center in Portsmouth, Ohio. She was a 1981 graduate of South Webster High School. She was a recent resident at Edgewood Manor in Lucasville, Ohio where she was cared for and loved. Sandra was born March 29, 1963 in Baltimore, Maryland, the daughter of Beecher and Reva (Willis) Crace. Sandra is survived by her mother and father; stepmother, Nina Crace; a son, Roger McCoy lll; four grandchildren, Adrianna, Elexis, Trenton, and Nathan McCoy; two brothers, Danny Ray (Kimberly) Crace and Jeffery Crace; a stepsister, Julie Kitchel; and several aunts, uncles, nieces, nephews, and cousins; also a special aunt, Edie Willis Mullen. She was preceded in death by an infant son, Nicholas McCoy; grandparents, Beecher and Marie Crace, Chester (Buss) and Dorothy Willis. Services will be 1:00 p.m. Tuesday, August 7, 2018 at D.W. SWICK-NELSON FUNERAL HOME in South Webster with interment to follow at South Webster Cemetery. Visitation will be Tuesday from 12 Noon to 1:00 p.m. at the funeral Home. Online condolences may be sent to www.DWSwickNelsonFuneralHome.com.